It is quite disheartening that nothing really can guarantee our complete safety in today’s world. Life-threatening scenarios pop up almost at random, they can happen anywhere at any time. A few years ago, a madman just decided to start a random shooting at fans who were watching a Dark Knight Movie in a popular Movie Theatre. 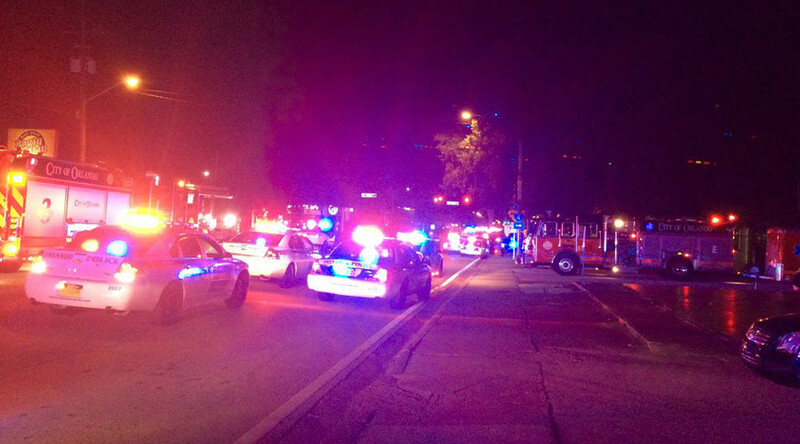 Just before the scars of that horrendous circumstance healed fully, less than 48 hours ago, there was a mass shooting at a gay nightclub in Orlando. From this most recent unprovoked attack, 50 innocent fatalities have so far been confirmed, loads more escaping with both physical and excruciating emotional injuries. So, from this, we must have a way of protecting ourselves in a bid to preserve our lives in these adverse situations. Below are some effective means through which you can ultimately survive such shootings, which could happen anywhere, from schools to movie theaters and nightclubs. This is one of your best chances of staying alive. Get out of there as fast as you can the moment you hear gunshots from a distance. Forget about whatever belonging you have within. Debating options in your head will just waste your time and minimize your chances of surviving. Ladies, in case you have shoes that make running difficult, take them off and take off! Whenever you get into any enclosed area, you can even prepare beforehand by identifying at least two exits (in case the shooter is blocking one of them) and staying close to them. From fire escapes to second story windows. If you break a leg from jumping, at least you will still have your life and your leg will heal! Remember to encourage other people to run, if they are too scared to move, grab them and move with them. The only exception of running is unless the exit routes will put you in direct line of sight of the assailant. If you find running rather impossible, the second most effective safety procedure is taking cover. Even though hiding traps you within the area of the incident, in the majority of cases, you should maintain your position for about 15 minutes. Most shootings tend to last for 10 to 15 minutes. Switch off the lights immediately in the room you are in. It will reduce the chances of the shooter getting into the room. In case the shooter enters you are still highly likely to survive since his visibility will be interfered with in darkness. If all is impossible you can play dead only as the last resort, it sometimes works but then, some shooters have been known to target bodies. They are aware of this trick so only try it if there is completely no other option. Once you manage to get into a room, shut the door and lock it immediately. Use any objects such as heavy furniture or even tie it up with something to make it as difficult as possible for the shooter to get in. Most of them will not bother too much to penetrate a barricade since they only have a few minutes before the police arrive. This is another last resort option, only and only if there is nothing else you can do. You can jump out of your hiding place and attack ferociously if you see him approaching. Don’t try to reason with the shooter, you will be killed, use any sharp objects (e.g. glass, scissors) that you can pick up to enhance your attacks. If you have a weapon, use it, and make sure you aim high; the face, neck, shoulders or arms, there is a good chance he will let go of the weapon. Remember, give your all in the confrontation, every second counts since your life is at stake.